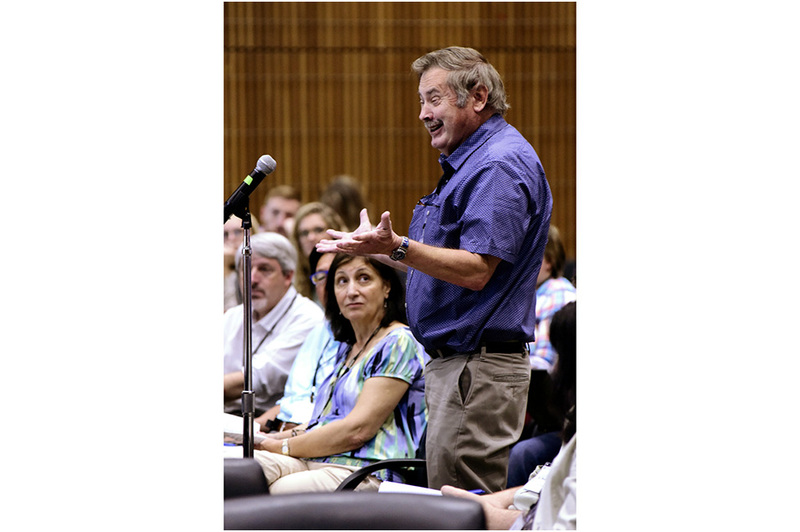 Scientists from NIEHS and academic institutions around the country shared ideas and identified knowledge gaps regarding the crosstalk between inflammation, mitochondria, and the environment in a workshop June 20-21 at NIEHS. 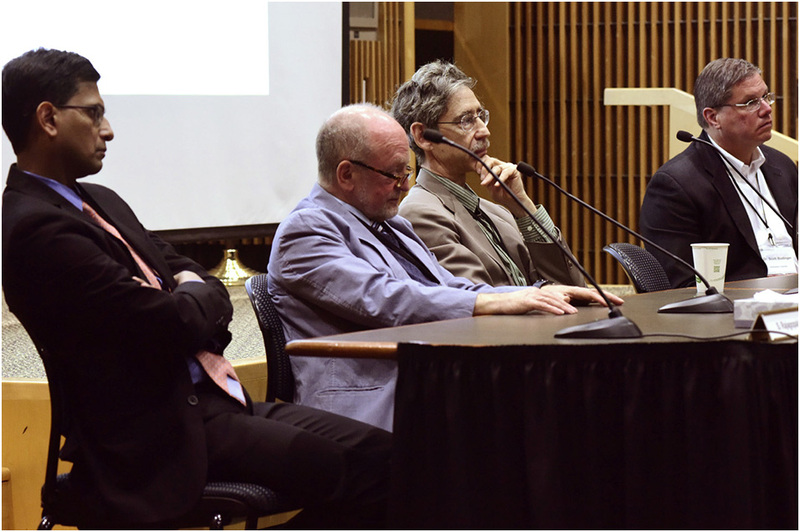 "Inflammation and the Environment: The Role of the Mitochondrion and Energy Metabolism" was organized by the NIEHS Inflammation Faculty, an interdisciplinary, cross-divisional collaboration among researchers across the institute. In opening remarks, Richard Woychik, Ph.D., NIEHS deputy director, highlighted the importance of the topic to understanding the influence of the environment on people. 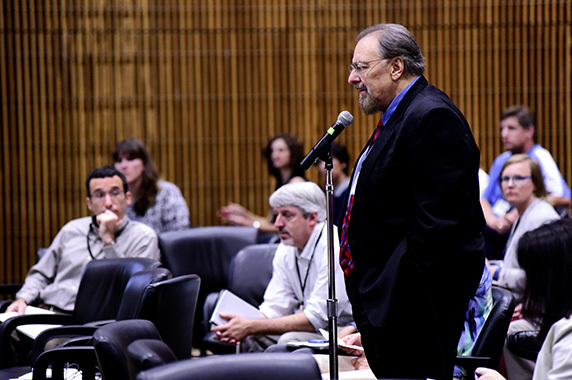 He explained that the symposium would help NIEHS focus the activity of researchers both in-house and in the National Toxicology Program (NTP), as well as those funded through grants, in ways that would leverage those efforts to advance understanding of the field. 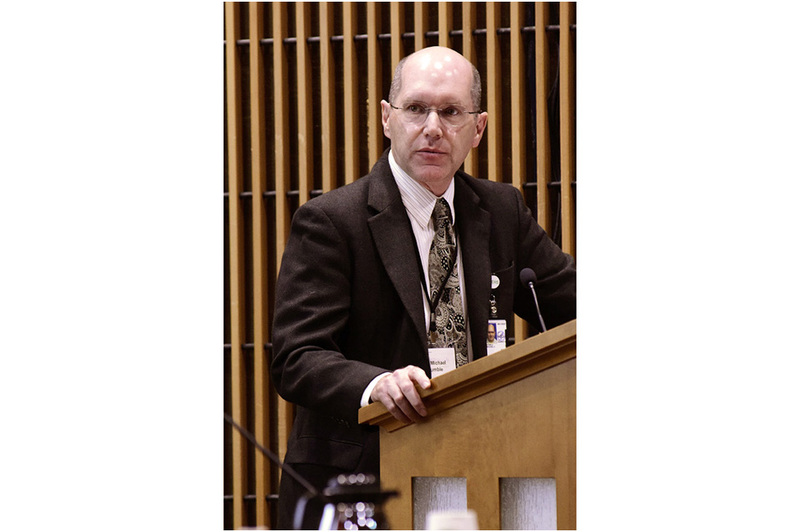 Frederick Miller, M.D., Ph.D., deputy chief of the NIEHS Clinical Research Branch and one of six co-leaders of the Inflammation Faculty, provided context for the focus of the workshop. “Environmental factors have many effects on metabolism and mitochondria, and the crosstalk between those changes might lead to inflammation,” he said. The immune system’s response to injury or infection is defined as inflammation that is often beneficial. “[Yet] chronic inflammatory states can cause human diseases, such as cancer, heart disease, metabolic syndromes, and autoimmune diseases,” he explained. Besides their classic role as the major supplier of energy to our cells, mitochondria coordinate many biological functions by producing intermediate metabolites and stress signals. Because of the importance of these processes, organizers devoted the first day of the symposium to the inflammatory role of mitochondria and metabolism. Presentations addressed how a range of stimuli affect mitochondria, induce inflammation, and promote disease development. Speakers shared findings on cigarette smoke or air pollutant exposures, autoimmune diseases, viral infection, and abnormal fat metabolism. “Metabolism and immunity are mechanistically related,” said Peter Tontonoz, M.D., Ph.D., from the University of California, Los Angeles, and the Howard Hughes Medical Institute. Philip West, Ph.D., from Southern Methodist University, also spoke about the connection with immunity. “Mitochondrial stress seems to be central for native immune activation,” he said. 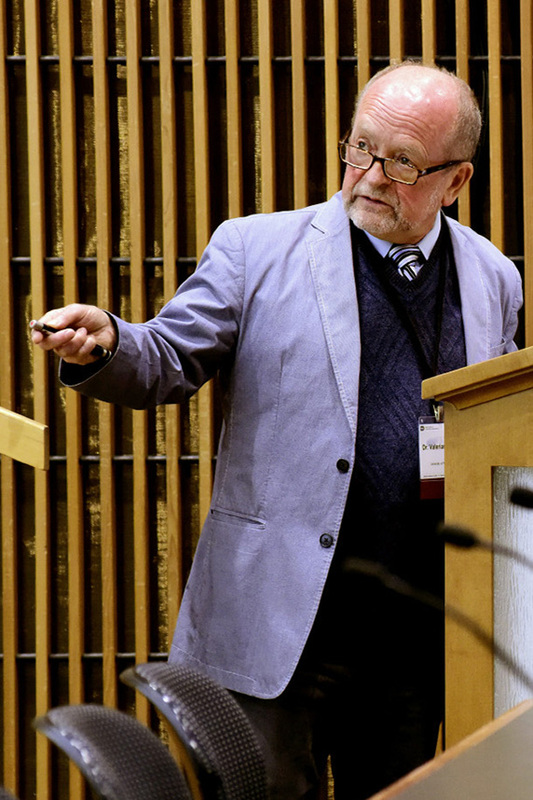 During the second day of the symposium, speakers and invited participants identified several key areas that need to be addressed by scientific studies. 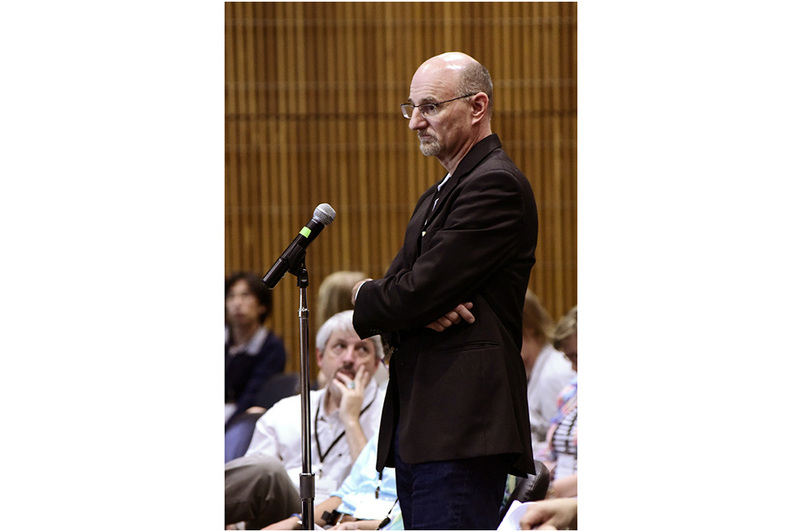 They agreed that researchers need biomarkers to study inflammation triggered specifically by mitochondrial stress or metabolic alterations, and several new candidates for biomarkers were proposed. Participants cautioned that researchers must validate that the markers reflect the underlying biological process of interest. Studies should confirm that markers found in blood reflect changes that occur in target tissues of the body. In addition, the group discussed goals and implementation of scientific projects needed to advance the field. They further explored the possibility of expanding initiatives already in place, such as those in the NTP Biomolecular Screening Branch and NIEHS Division of Intramural Research. Approaches to facilitating collaboration across NIEHS research programs were also discussed. 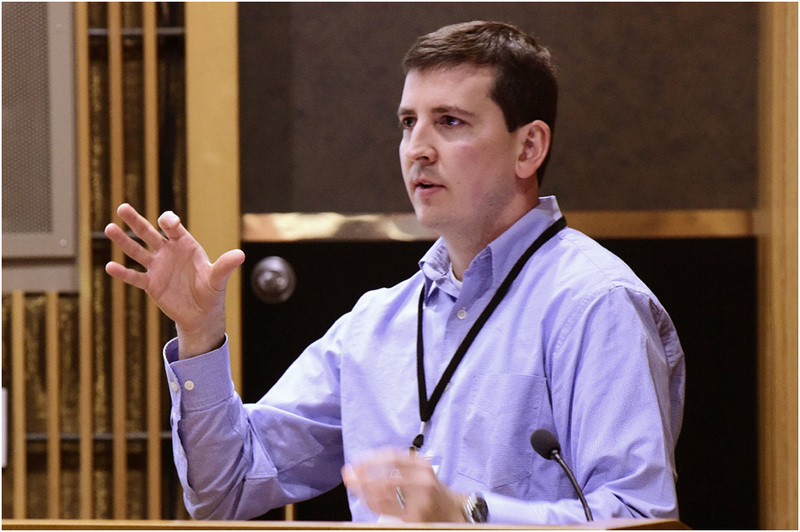 The workshop emphasized that clarifying the intersection between environment, energy metabolism, and inflammation is important for understanding many human diseases. Furthermore, scientific progress in this important area depends on collaborative work among researchers of different disciplines. To that end, the workshop was a success. “Collaborations are already ongoing and new ones have been fostered, and those would not be occurring without this meeting,” Miller said. 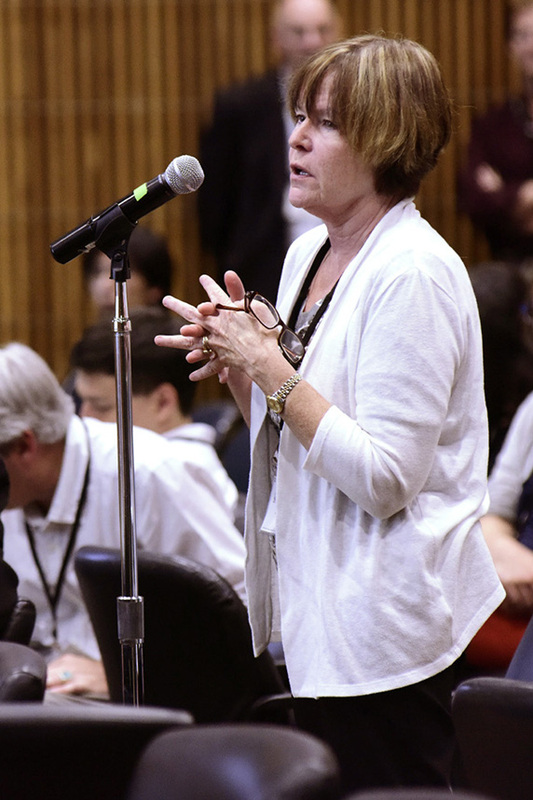 In the coming months, organizers, including Janice Allen, Ph.D., another of the Inflammation Faculty co-leads, will prepare a paper discussing the findings of the workshop, priorities for future research, and areas in which NIEHS can make a unique contribution, and submit it for publication in a peer-reviewed journal. 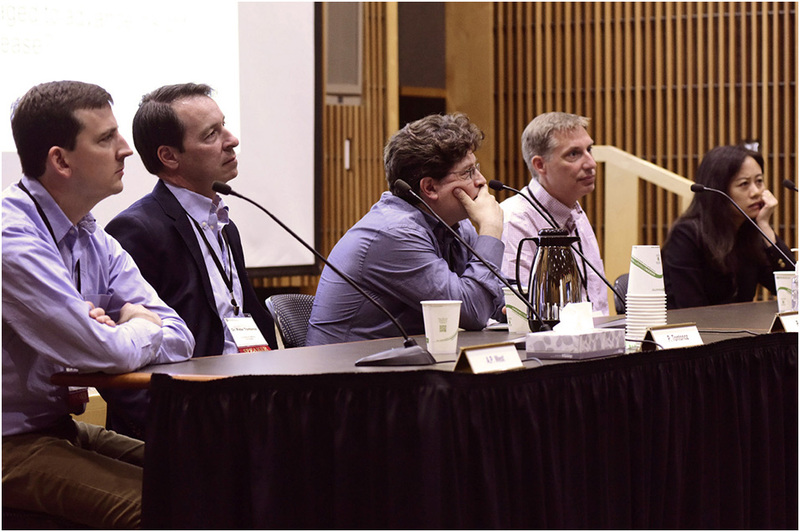 Ten speakers, all leaders in their fields, laid the groundwork for future research on the links between the environment, inflammation, and energy metabolism. One session, moderated by Jean Harry, Ph.D., head of the NTP Neurotoxicology Group, explored the role of mitochondria in inflammation. 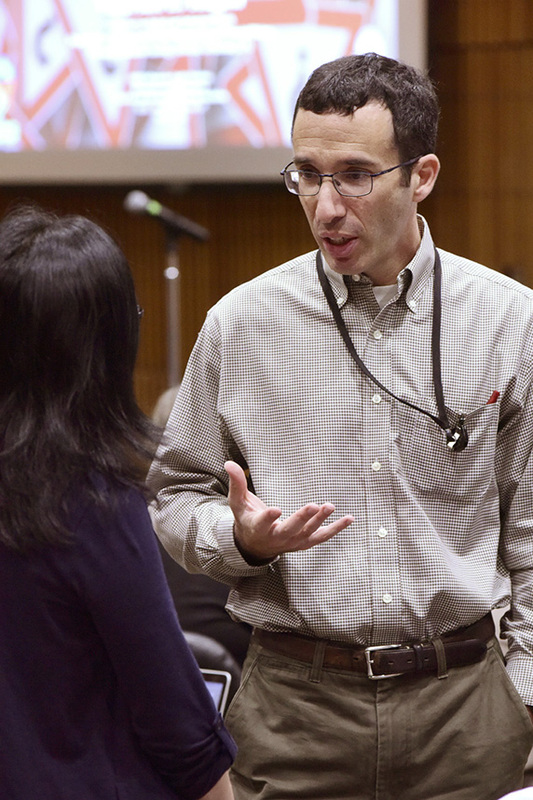 The other, moderated by Michael Fessler, M.D., deputy chief of the NIEHS Immunity, Inflammation, and Disease Laboratory, explored the metabolic reprogramming of inflammation. 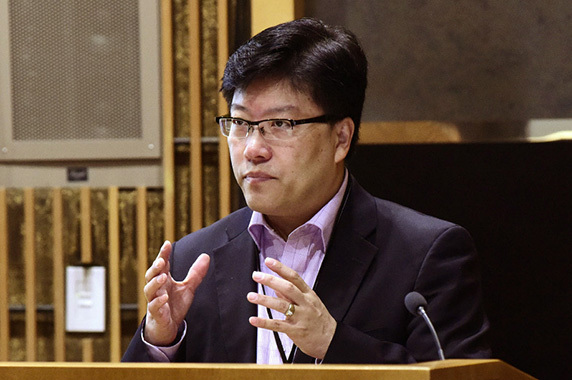 Augustine Choi, M.D., from Weill Cornell School of Medicine, showed that mitochondrial signals are responsible for the molecular mechanisms of inflammation induced by cigarette smoke in chronic obstructive pulmonary disease, a chronic inflammation disease of the lung. Mitochondrial signals are also fundamental factors in the proinflammatory state of lungs and the immune systems of animals and humans exposed to air pollutants, as presented by Sanjay Rajagopalan, M.B.B.S., from the University of Maryland School of Medicine, and Scott Budinger, M.D., from Northwestern University. Valerian Kagan, Ph.D., D.Sc., from the University of Pittsburgh, explained that cardiolipin, a lipid, moves from the inner membrane of a damaged mitochondrion to its outer membrane, allowing macrophages, or cells responsible for inflammatory responses in our bodies, to engulf the damaged mitochondrion. Keith Elkon, M.D., from the University of Washington, and Richard Siegel, M.D., Ph.D., from the National Institute of Arthritis and Musculoskeletal and Skin Diseases, discussed mitochondrial abnormalities in autoimmune diseases, such as systemic lupus erythematosus, and autoinflammatory diseases, such as the tumor necrosis factor receptor-associated periodic syndrome. 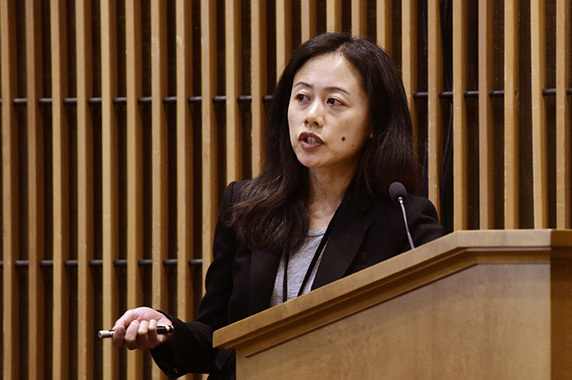 Tiffany Horng, Ph.D., from Harvard University, Jeff Rathmell, Ph.D., from Vanderbilt University, and Tontonoz demonstrated how changes in the metabolism of fat are fundamental for the inflammatory response of T cells and macrophages. West explored the role of mitochondria in sensing viral infections. next article - "Native American health and ..."